CARNOUSTIE, Scotland -- Yani Tseng, 22, came from two shots back to win the RICOH Women's British Open and make news as the youngest player -- male or female -- to capture five major titles. 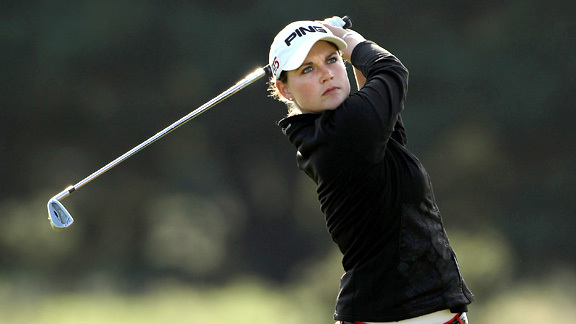 She had a closing-round 69 to finish at 16 under par and four clear of America's Brittany Lang as the latter came chasing through the field with a last-round 67. 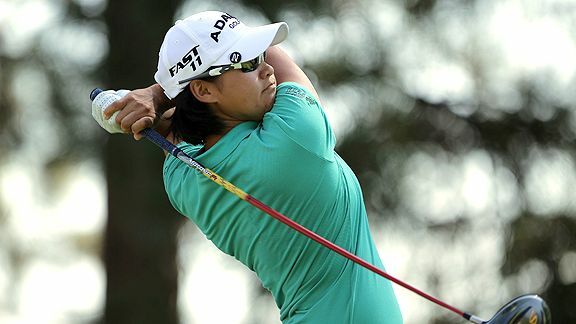 Tseng was as many as six shots off the pace at the end of the first round but found herself perfectly placed Saturday night to overtake the inexperienced Caroline Masson of Germany. On Saturday, the undeniably talented Masson had surprised everyone by hanging fast to her halfway lead. Sunday, though, it did not take too long for the difference in standard -- Masson is No. 141 in the world rankings whereas Tseng is No. 1 -- to show. 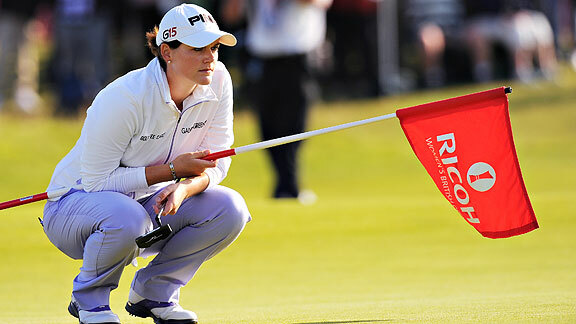 The German player took three putts on two of the first three greens and, by the time she had fallen behind Tseng at the sixth, her early serenity was replaced by something of a resigned air. In the end, she did decidedly well to match Tseng's closing birdies and finish tied for fifth with Scotland's Catriona Matthew. Tseng was two clear at the turn and four ahead after the 347-yard 11th, where she unzipped one of her best drives to finish four paces short of the putting surface. Then, though, there was a bit of a hiccup as she bogeyed the 12th and 13th and walked from the 13th green uncomfortably aware of the fact Lang and Matthew were at that point only a couple of strokes behind. She looked at the notes she had written in her yardage book about staying positive and she reminded herself: "Sometimes on links courses you're just going to get bad luck. You have to forget about it and look forward. Good posture, chin up and then smile. It helps a lot." She thought of how she might make an eagle at the long 14th but even a birdie was enough to have her back on track. 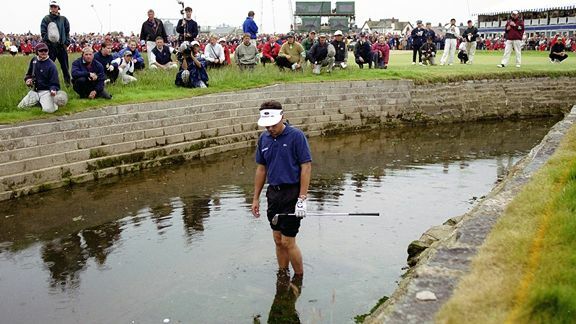 There was a touch of negativity on the 18th tee when she remembered how Jean Van de Velde had hit into the Barry Burn in 1999 and lost the championship with a seven, but she soon talked herself out of that. She hit a spanking drive down the fairway, knocked a nine-iron to three feet and signed off with her sixth birdie of the day. "It feels really good," she said afterward. "My stomach was hurting before I teed off and I was a little nervous. But after the first tee I felt really good." No less was she pleased to have collected her fifth major at Carnoustie. "It's wonderful," she said. "There are so many great players making history on this course. It's an honor to be part of it." Lang was understandably thrilled with her charge on a day when she had started out eight shots behind Masson. "I played great today," she admitted. "I made some really big par putts early on -- and from then I played pretty flawless golf. I kept my attention over each shot and was pretty happy with how I handled it mentally." She had expected to have to share her second place with Matthew but the local player hauled her second out of bounds at the last hole to close with a double-bogey. Another American, 30-year-old Katie Futcher, caught the eye of Solheim Cup captain Rosie Jones when she posted an inward 29 -- the best of the week -- in which she had five birdies and an eagle. Jones described her as "a later developer" but one who was bringing a good and mature mind to bear. Futcher is currently outside the top 10 on the Solheim Cup points' list, where Lang is comfortably placed. "She's made lots of Solheim Cup points over the last few months and, as you can see from what's happened today, she's a wonderfully aggressive golfer," Jones said. In other words, it sounds as if Jones might well be interested in the player as a wild card even if she does not make the side automatically. Lewine Mair is a contributor to ESPN.com's golf coverage.